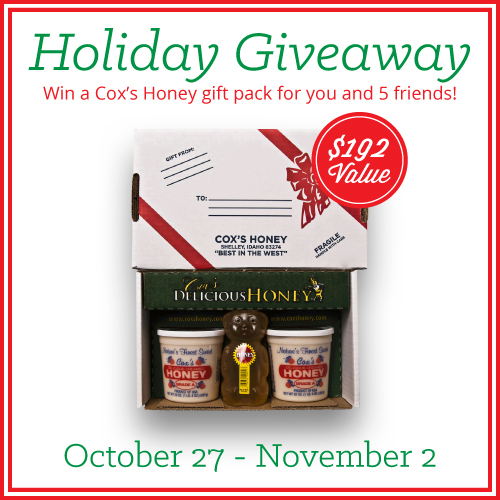 The holidays are right around the corner so what better way than to have Cox’s Honey involved in a giveaway again! This giveaway is a little different. We will have one winner chosen through our Rafflecopter system. Then that winner will give the names and addresses to Cox’s Honey for FIVE of their friends to receive the same giftpack shown above! WooHoo! 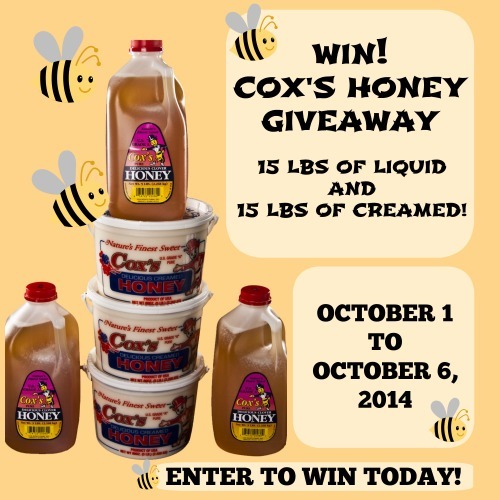 This is a sponsored group giveaway and we thank Cox’s Honey for these awesome prizes. Have you tried their creamed honey….fabulous! Have you seen: Cox’s Honey Website? This Cox’s Honey Gift Pack Giveaway is open to any resident who is 18 years of age or older who lives in one of the 48 US Contiguous States. This giveaway starts on Monday, Oct. 27th at 5:00 am (MDT) and ends on Sunday, Nov.2nd, 2014 at 5:00 pm (MDT). The winner will be notified by email and will have 24 hours to respond. If we do not hear back from said winner in the designated time period of 24 hours we will choose another winner and they will have 24 hours to respond from the time the notification email is sent. Please check your SPAM email folders. Good luck to everyone! Let’s be prepared for the unexpected! Cox’s Honey is amazingly delicious and I am so excited to share them with you. This is part of the OCTOBER EXTRAVAGANZA OF GIVEAWAYS! Are you a fan of using honey in your nightly tea, in baking or in cooking? If so, you don’t want to miss today’s’ post. We’re giving away an incredible amount of honey to one lucky reader! We’re not just giving away any honey-Cox’s Honey is pure, unfiltered, raw honey; so rest assured, you will be receiving a premium product of the highest quality. 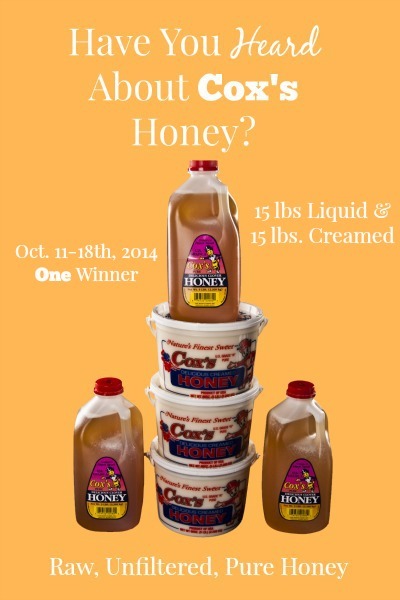 Cox’s Honey has graciously offered to sponsor this group giveaway. If you missed the opportunity to enter our last Cox’s Honey giveaway, be sure to enter for your chance to win a total of 30 lbs. of honey: 15 lbs. of liquid honey, and 15 lbs. of creamed honey-perfect for the family that wants the best of both worlds. You will want to check out Cox’s Honey Website! Premium Honey! This Cox’s Honey Giveaway is open to any resident who is 18 years of age or older who lives in one of the 48 US Contiguous States. 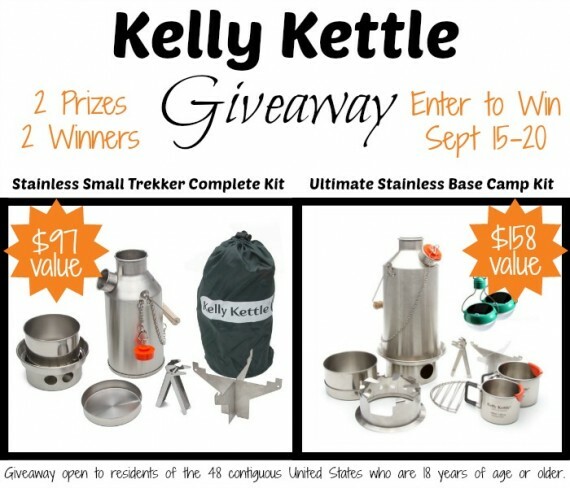 This giveaway starts on Saturday, Oct. 11th at 5:00 am (MDT) and ends on Saturday, Oct. 18th at 5:00 pm (MDT). The winner will be notified by email and will have 24 hours to respond. If we do not hear back from said winner in the designated time period of 24 hours we will choose another winner and they will have 24 hours to respond from the time the notification email is sent. Please check your SPAM email folders. Good luck to everyone! Let’s be prepared for the unexpected! A FoodSaver is an awesome tool for homesteaders and preppers but there are tons of everyday uses for this handy appliance. You can even use it to pack clothes that will take up less space and are water proof! I like it because my meats don’t get freezer burned, I can store cheese and keep it fresher longer and it is great for packing lunches. 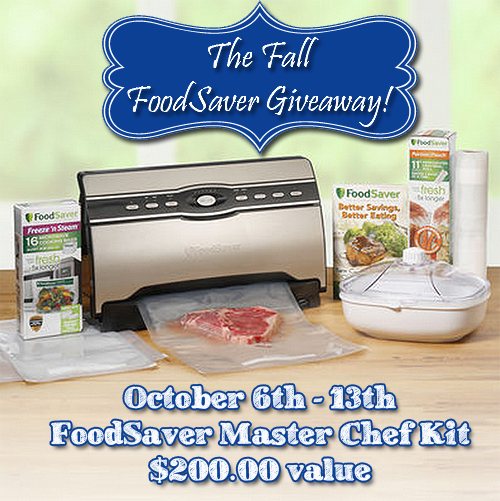 We are having a FoodSaver Group Giveaway today! WooHoo! This is a great way to preserve your food for an extended amount of time. You can make mason jar salads, package your cheese in smaller bags, the list is endless. We are all thinking about how to be prepared for the unexpected times in our lives. 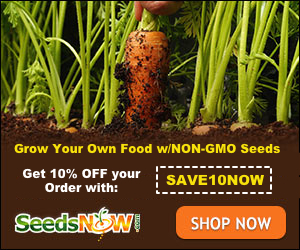 This FoodSaver will help you save money by not wasting any of your precious grocery dollars….